It is a grey, windswept and cold day with intermittent flurries breaking forth here and there, not so gentle reminders that winter’s grip remains still. I’ve been hoping for spring, for a warming of days and a thawing of the ground, but it has not yet come. Today we traveled over to our old town, Freeman, for the annual event that is Schmechfest. 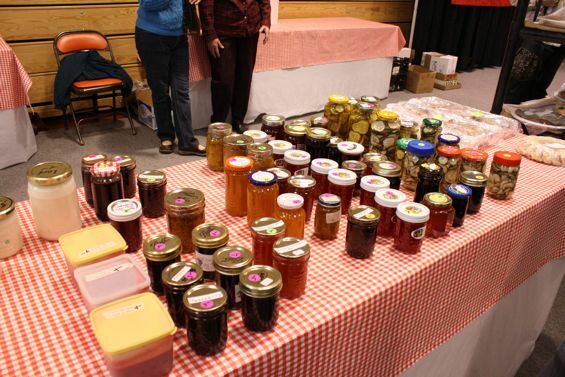 For a small town it is an amazing event, held on the Freeman Academy campus and featuring a yearly musical and the Schmechfest meal, a smorgasbord sampling of German Mennonite food. 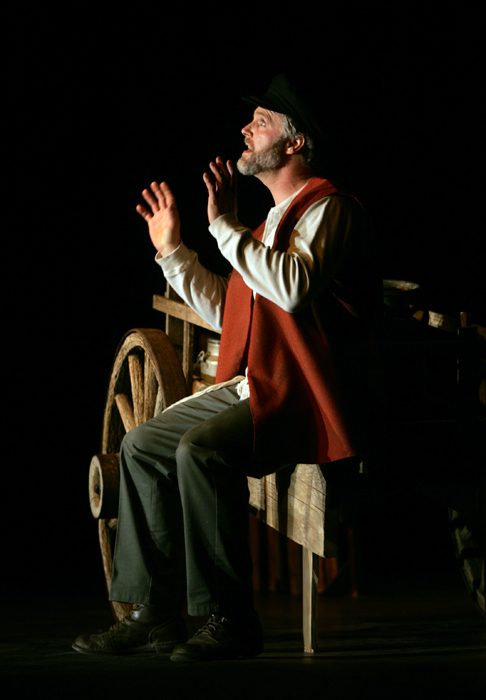 This year’s musical, Fiddler on the Roof, is once again being hailed as a masterpiece for a small town to put on. One of the more important stops while taking in Schmechfest is at the German Sausage making presentation. Not only can you watch them pack intestines with sausage, you can pick up some the best tasting and freshest sausage around, you can get it for a really affordable price. In the same building you can get delicious sweets like New Years Cookies and Rosetts – you’ll just have to come down next year to see what those are. The idea that a town the size of Freeman can put on such amazing musicals year after year is truly remarkable. There are few in the area who haven’t at one time or another been a part of a Schmechfest show. This year Fiddler is getting the rave reviews that all shows get. I was able to write the review for Cinderella a few years back – that was a fun challenge. While each years production does happen in a small town, the quality of the productions are far from small town. Schmechfest means festival of tasting and this is one area that – for fifty five years now – Schmechfest really shines. There is so much food and so much of it is so good. 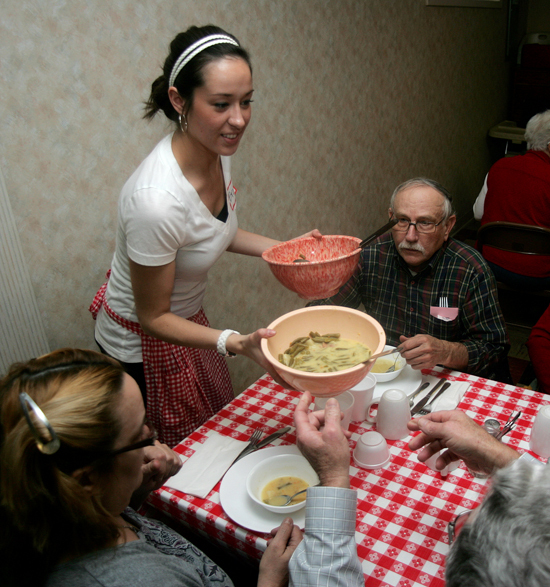 I was able to serve coffee at the first evening’s meal and enjoyed seeing nearly 1,000 happy and well fed people eat family style. Schmechfest happens over two consecutive weekends each spring. It will happen again next year, the third and fourth weekends in March. Weren’t you in one of their musicals? It’s great how communities can come together to make such great festivals happen, with so many people donating their time. There’s still a lot of good in this world.